Who says enjoying a Japanese 'ryokan' complete with cosplay backdrops, an onsen and sake tasting has to cost an arm and a leg? Easily accessible from Tokyo and home to luxury resorts, shops and restaurants, Karuizawa is a gorgeous year-round getaway. But autumn is when the town shows its true colors! Feel the water rush up from below in this 1.25-meter-deep hot spring carved out of solid rock! If you're looking for traditional Japanese-style lodging, look no further than these ten Japanese inns. 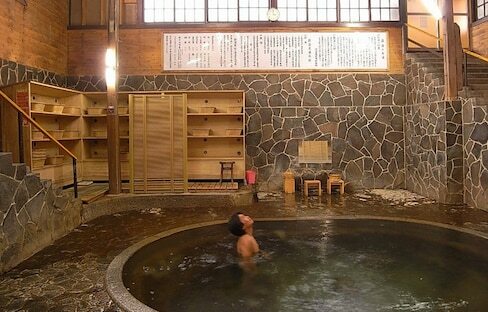 Fool other onsen goers into thinking you have mastered the art of bathing in Japanese hot springs by following these helpful tips. Make your way to the top of Mount Fuji with an English-speaking guide. Catch the beautiful sunrise after a vigorous hike, all without worries about the language barrier! Savor the fantastic sight of candles in the snow, the natural springs flowing through the baths, and the delicate local cuisine of Aizu. The end of April sees all but the nation's northernmost cherry blossoms fall to the ground. But on the island of Hokkaido, the annual wave of pink and white is only about to begin. Wowing guests with a 35-meter-high (115-ft) panoramic view overlooking the ocean, this Chiba Prefecture 'ryokan' is sure to delight hot spring lovers. And getting there from Tokyo is easier—and cheaper—than you think! 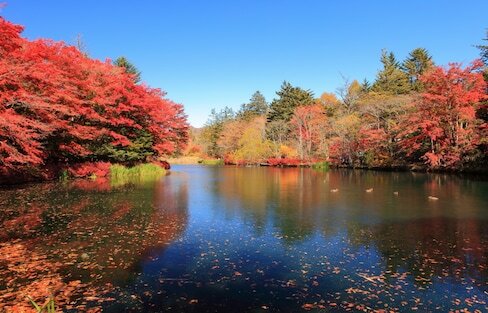 Check out these famous fall color spots and their nearby hot springs in each of northeastern Japan's six prefectures. 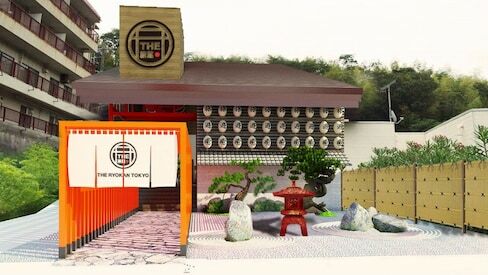 Our favorite Texan in Tokyo heads to Tochigi to try her first 'ryokan' experience—and we've got the video here! This hotel has been recognized by Guinness World Records as the oldest hotel in the world, and is just a prefecture away from Tokyo! Tokyo’s great, but it’s nice to get away from time to time. Fortunately, from the capital, the short-trip traveler has access to some great weekend-away spots. We've selected some of the classics, and assess their travel budgets. This charming and magnificent ryokan, with its in-room 'kaiseki' dinner, is a great reason to venture into the hills above Gero. Immerse yourself in traditional Japanese culture at this 160-year-old 'ryokan' in Hida-Takayama. Ibaraki is home to Kairakuen, one of the Three Great Gardens of Japan, as well as Fukuroda-no-Taki waterfalls, which crash down 120 meters of terraced rock in an awe-inspiring spectacle of beauty and sound. The Kurobe Gorge Railway is a perfect choice for tourists looking for something spectacular. This Japanese inn shows guests the true meaning of hospitality by coming out to greet you as you arrive and leaving a thank you note by your shoes when you leave.